Students, teachers, managers and professionals; Everyone profits from the insights Scorion provides you. Any professional or student who wishes to develop professional skills can view his/her progress in the learning process at a single glance. 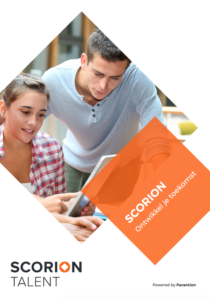 All learning and developmental activities are recorded in a simple way in the Scorion skills platform. Not only are the end results visible, but also the learning process itself. quantitatively (is the student on track with the number of learning activities?) and qualitatively. 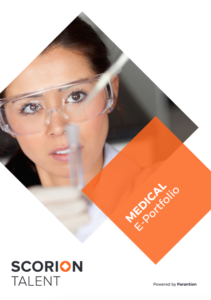 All results can be easily exported or displayed in a report with interactive graphs. You can create this report as a PDF file or export the data to Excel or SPSS. In addition, the results of the report can be used in a new form. Scorion operates in a private cloud and complies with the highest security standards. Scorion is in possession of an ISO:27001 and NEN: 7510 certificate. This means that your data is 100% safe. Scorion communicates easily with other systems by using the API. Also the latest technological techniques are being used. Scorion is a cloudsolution. It is of the utmost importance that user can safely and easely access Scorion. That is why there is a link with SURF Conext. SURF Conext centrally controls authentication and authorization, so that users can log in securely and easily with their institution account in Scorion. SURF conext is just one of the many links that is possible with Scorion. For example, there are institutions that make use of a link with Blackboard or, for example, GAIA for the registration of points. By realizing a link it is possible to import data both in Scorion and to export from Scorion. For example, personal data of students or employees can easily be imported into Scorion. Stored data such as reviews, grades or feedback can easily be exported to other systems and applications. A link is always tailored to your wishes. By applying different techniques it is almost always possible to realize a link. Ask for the possibilities. Scaling is a higher response! It does not matter which device you use. Scorion scales along and remains readable and fillable. You as a researcher can log in on each device to create a questionnaire, send it, view the data and make a report. Whether it is a desktop, laptop or tablet, this does not matter. This makes it even easier to do research! Speak your feedback on tablet or mobile. Your results or those of your employees / students are in a report in your own style. How far are you in your development? What do you need to get ahead? This is clear at a glance. You often want to present results or are a substantiation of certain choices you make. You easily generate a report in which the results are displayed with clear graphs. You can view your report in real time on your screen or via a PDF. Scorion is in a private cloud, which means that the data is saved in a separate part in the datacenter. Because this cloud is an online application, you can always log in anywhere, provided you have internet of course. See how you score in relation to others or compare your results with those of other organizations in the industry. Scorion meets the highest standard for information security through ISO: 27001 and NEN: 7510 certification. Your privacy is 100% guaranteed and the data is and remains yours.